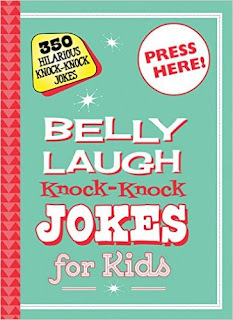 Belly Laugh Jokes for Kids is packed with both classic and original knock-knock jokes to make readers keel over in laughter. 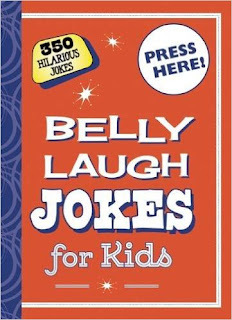 Developed to meet the needs of the millions of children eternally hungry for joke books, this collection is complete with 350 hilarious knock-knock jokes for kids. This unique volume is complemented by witty line drawings created by talented illustrator Bethany Straker. Its seemingly endless supply of fresh content and splashy, engaging design make this book a sure source of fun for young readers as well as parents, siblings, and friends! Perfect for long car rides and rainy days, this book is sure to bring laughter and fun into your home. Belly Laugh Knock-Knock Jokes for Kids is so fun! My kids absolutely love this book. We've been laughing so much since getting this book. The jokes are all really funny and my kids love sharing them with friends and loved ones. What I enjoy most about this book is that it encourages laughter which is so good for you. There's 350 hilarious knock-knock jokes so kids will never run out of jokes. The illustrations are fun and go right along with the book and the knock-knock jokes are so clever and fun. The laughing button on the book is a nice touch and something my kids enjoy pushing and hearing after they tell a knock-knock joke. I highly recommend this book! You can find Belly Laugh Knock-Knock Jokes for Kids on Amazon, Barnes and Noble and other bookstores.